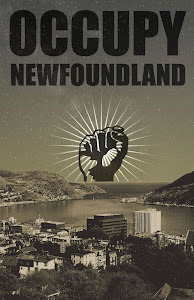 Occupy Newfoundland and Labrador: How Do We Make Waves? To set priorities, policies and timelines for sustainable targets for outmigration fish. An annual review into the Oceans Act. For scientific research to be made available to the public when it is published. Our current system, instead, has scientific research sent to the government for confirmation, which includes long delays of releasing results and frequent filtering. There were also complaints of smaller research funding into the fisheries and a decrease in scientists as the retired are not being replaced. The need for long term fisheries policy, instead of our current short term band-aids. The people who were responsible for the moratorium of the 1990s to be fired, which has yet to happen. Cleary then put the topic to the floor for discussion and the public raised many issues with a focus on the fear of the fate of small fishing enterprises caused by the control of big business. These topics included the federal government's inaction on the banning of seals in the EU and Russia; the huge problem of overfishing by large vessels; the commensurate benefits of fish within the 200 mile limit Canada gave to foreign countries for having to implement the limit around Newfoundland, which does not cover the continental shelf and so does not serve its purpose of sustaining migrating fish; Canada's current free-trade dealings with the EU, which will not be publicizing decisions until the deal is made; and the federal government's talk of removing the Fleet Separation Policy, which would hurt smaller fishing enterprises. But how do we make this change? Government committees have been looking into the fisheries for thirty years and a clear blueprint outlining the future of the industry has yet to happen. All agreed the people of this province need to make their voices heard on this issue. This big business takeover is reversible and our local communities depend on it. If we are going to keep eating fish, doesn't it make the most sense to do it in the most sustainable way, that is, locally? A big business takeover would mean fish were caught here, processed there, and then sent back here to be sold to us. If these companies cannot meet our solid demands for fair wages then we must change the system. Business should be responsible to its employees, not to its shareholders. By buying local, Newfoundlanders could keep small fishermen alive. By crying out against the takeover of big business, Newfoundlanders could lead the way for other small industries everywhere. 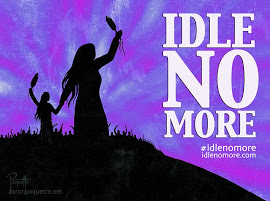 One protest makes the government notice, an extended protest might just make them act. the huge problem of overfishing by large vessels has been solved by other countries, like Iceland. The Iceland Cod Wars saw fishermen go out to these large vessels and simply cut their nets. Their government supported this and the people were able to take back control of this important industry. Exactly. Our government needs to spend more time thinking about people and less time thinking about profit.